After writing many pieces to constructively criticize your output as Member of Parliament for Kwabre East Constituency, I will not begrudge you if you miscontrued it to mean an attack on your person. This Love Letter is therefore to ensure that we are on the same page and to assure you that I am one of your ardent admirers. It is therefore my belief that this love letter finds you in good health. Hon. Francisca, I chanced upon your Facebook page which seeks to engage your constituents and I find it very innovative. Hon, you will however bear with me that this is not enough as you are very much aware that your constituency is dominated by farmers and artisans. There is therefore no better way to engage your constituents than by visiting them in their farms and/or places they ply their trade. A large majority of the people following you on Facebook are not your constituents and do not even know where it is located nor do they know our plight. Madam MP, come to the constituency and engage us wai. My dear Hon. Francisca, I have seen flyers and banners to the effect that you are organizing free classes for green and gold track students. Regardless of the fact that the mess was caused by your government in the first place, I think you are doing a good job. But Hon, how has your being a board chairman for the National Youth Authority benefited the youth of your constituency? Aside those whose life is being ruined by the double track system, there are other youth who could benefit from your benevolence so Madam MP, come to their aid as well ooo. My dearest Hon. Franscisca, when you embarked on an agenda to hoodwink us that you were doing something about our roads, I saw through it and spoke to ensure that you did the right thing. The current state of the roads in the Kwabre East Constituency is at its worst. I do not know how you are able to convince yourself that you are serving your constituents by this deceptive act. If you do not loose sleep over the poor state of our roads then Madam MP, you have no right representing us la. Hon. Francisca, as a representative of the people of Kwabre East, I applaud one of your Facebook initiatives where you talk about the constituency on a specific day. There is also another where you salute women who have attained certain heights and that is where I have a problem with you my dear MP. For 2 or 3 weeks consecutively you have chosen to celebrate women who have excelled in fashion. Also, you are yet to celebrate a single woman from Kwabre East, the constituency you represent. Madam MP, if your love for fashion is that deep then I advice you start a fashion magazine and pave way for people with the passion to serve us to represent us in Parliament. There are thousands of women in Kwabre East who in their own small ways are impacting lives and causing real change, identify them, celebrate them and project them to the world. That way, you will be using your platform more productively! 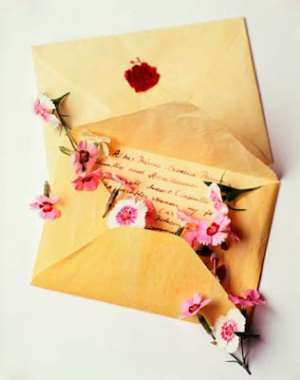 My dear Hon, I do not intend to bore you with a lengthy letter and so I will end here in the hope that you treat the contents of this letter with the importance it merits. Aha, before I forget, tell the handler of your Facebook page that it should read 'Agriculture is still the DOMINANT EMPLOYER in the Kwabre East' not DOMINATE EMPLOYER.